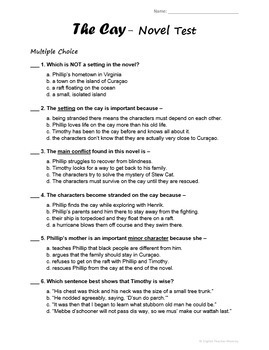 Here are two essential pieces of your The Cay novel unit - 40 reading comprehension questions and a 25-question test! 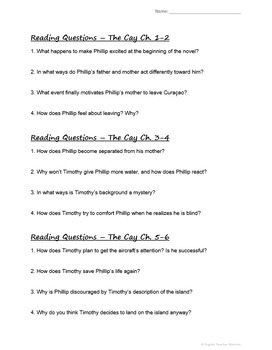 Use the questions as a study guide before giving the test or assign them chapter by chapter as you read through the novel to ensure you cover relevant information and skills during your novel study - setting, characterization, conflict, theme, cause and effect, and more. The Cay is such a rich, engaging novel; I hope your students enjoy digging into it as much as mine have! 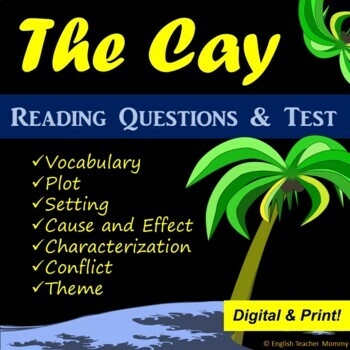 Teaching The Cay? Check my full (discounted!) novel study bundle here!